Searching for endorsement money for your clients? Our Sponsorship & Endorsements Package will get you the edge. Athlete sponsorship’s dollars are in many cases are far larger than their professional league earnings. Deals for some athletes have reached over a 100 million dollars. Hard to imagine isn’t it? In just two decades, athletes have seen their salaries rise from the thousands into the millions of dollars. Average pro athletes now make 10 to 100 times the salaries of earlier athletes. Top athletes have seen hundred fold increases. The rapid rise is sponsorship dollars is due to the realization that athletes are opinion leaders and celebrities in our society. A company will want to take advantage of this and increase the popularity of the company image and audience reach. What athletes use and promote brings in large numbers of clients for the firms product, label, trademark, or logo. The sports agent is typically the number one contact for the sponsors. He handled almost all of the communications and contract negotiations. An agency with many athletes may have designated departments and contacts for the agent but in almost all cases the agent is the point of control. The explosion of the sports industry worldwide continues year after year. 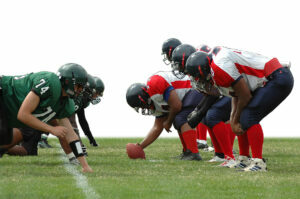 While other business opportunities are declining, sports have maintained its upward momentum. With the growth of athlete salaries, sponsorships, and team revenues, a growing need has developed for athletes to have a sponsor literate agent/marketing manager seek sponsor dollars for them. The percentage of today’s athletes need require a sponsor manager is at an all time high. order to achieve success as a marketing manager in today’s complex global economy, it is necessary to have an understanding of how to seek for sponsorship’s and endorsements. As part of this one needs to know key principles, directions, contracts, rules, procedures, regulations, and the specialized requirements of the individual sports. Pro Sports Group’s Sponsor Package provides the foundation and tools you need to start seeking for those sponsor dollars. You may keep you current position or studies while learning this new field. Because our field is challenging, growing and changing we allow our students and graduates lifetime access to the course information, its updates, new contracts, agreements, and changes. We do not charge for annual updates. Ask when you are looking at courses if you have access to contract updates, and changes after you complete the course. Can you go back and review a specific sport without charge? No one else has the complete package that gives you contracts, the sponsor guide, contacts and more. Get serious about following your dreams and get the Pro Sports Sponsorship Package. The online Sponsorship Package is geared for agents and individuals interested in gaining an understanding of the sponsorship industry. With a diverse group of active agents, Pro Sports Group’s members include, but are not limited to, students, coaches, scouts, sports agents, sports executives, teachers, financial professionals, attorneys, trainers, and other individuals who are working with, athletes, sports agents, marketing managers or involved in the sports agent industry. Students are able to work on their own time and at a pace that is optimum for them. There are no time-limits when the course must be completed or limits as to how many times the course may be taken. The course can be completed in 1 – 3 weeks but if life interrupts, it may take longer. We do not turn your access off. You determine and control your schedule. If you are interrupted by business or exams complete those actions and then complete the course. 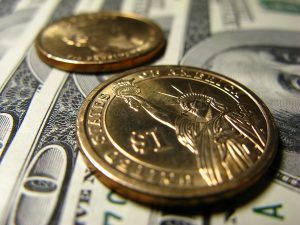 Other programs charge a high fee if you miss their schedules. 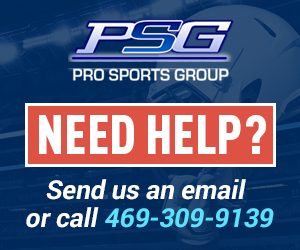 With Pro Sports Group our schedule is your schedule and we support our students when they need it not just when it is scheduled. There are no reoccurring renewal fees or dues. Individuals may start the course at any time because they will be working on their own schedules (lifetime course access and membership is being included for a limited time). You will have access to the sports industries newest, rules, regulations, and updated contracts if you start now. Receive the annual professional league contracts, rules, and college regulation updates. This course covers the requirements and role of an agent in marketing, sponsorship’s and endorsements; how to work with your client and reach out to sponsors for your clients. Emphasis is on the basics of handling you clients. You need to know first what to do when you sign a client. Also, it shows you what may happen if you have client troubles. Most of all we give you the tools you need, along with some contacts to start you off, to find the sponsor dollars your clients need to be more successful. The sponsorship guide serves as a foundation for you to become a better marketing manager. Why struggle and put off doing your dream job? If you are stuck, we are here to help! We have direct one to one assistance available for our students. Our 11 years of course experience is unmatched in the industry. Our course is not a marketing course; it is a how to for agents and marketing managers in the sports industry. Each section begins with an overview segment to introduce the particular section. The point of emphasis segment includes ALL the information, resources, forms, and documents. The final segment of each section includes a section review. This includes a test of your comprehension of the materials. You will be answering the questions with the click of your mouse! The form and number of questions depend on the section, but typically there are around 50 questions to ensure a complete understanding. Some sections will have more questions than others, dependent on the amount of information and the difficulty level of the material. After successfully completing the course, you will be awarded a “Pro Sports Sponsor Course Certification”. These should be framed and displayed in your office along with league certifications. * This is your sponsorship your foundation for success. * Generate a high dollar revenue stream for yourself and your athletes! * Learn the business of finding sponsorship’s or your clients. * Get the tools and connections needed for success. * Sponsor contacts provided for you and how to contact them. * Special offers, discounts, and promotion upgrades for members only. * Work in the Industry you have a passion for. Enjoy your work! * Eliminate guesswork, with trial and error.